Midland luxury cutlery firm Arthur Price is shining on a worldwide stage – with an exclusive order to supply Prime Minister David Cameron in far-off Kazakhstan. The Staffordshire company, which was founded in 1902, swung into action when they received an emergency call from Kazakhstan to provide knives, forks and spoons for the PM’s recent visit. The firm quickly shipped up to 450 pieces of top grade cutlery thousands of miles over to the remote Asian state to ensure Mr Cameron’s dining needs were accommodated during the historic first visit by a British Prime Minister to the country. The PM order was the latest in an impressive string of prestige contracts for Arthur Price throughout its 110-year plus history, ranging from supplying knives and forks to one of the restaurants on the Titanic to cutlery for David Beckham’s wedding and the Savoy in London. Other famous clientele down the years include Michael Heseltine, Paul McCartney, Michael Caine and the Duke of Kent, while its most lucrative concession is in Harrods. 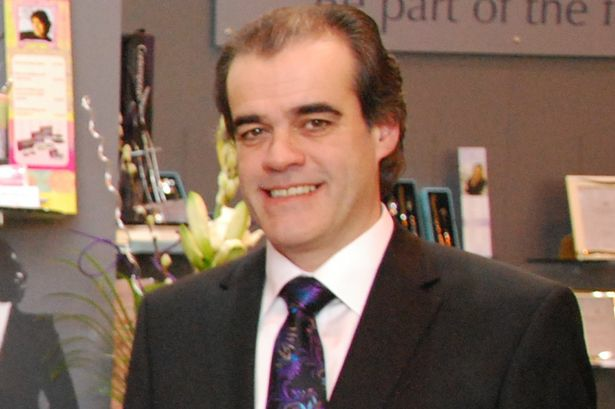 Simon Price, chief executive of Lichfield-based Arthur Price, said: “We had the call on the Friday to say that they needed English cutlery for Mr Cameron’s visit; we have a distributor over there and they gave us 24 hours’ notice. The Kazakhstan order is the latest in increasing export successes for Arthur Price following the firm’s visit to the Frankfurt trade show – ‘the German version of the Spring Fair’ – earlier this year. Mr Price said the exhibition had paid handsome dividends, including £200,000 worth of new orders from the Middle East. “We only do a certain amount of exhibitions and Frankfurt proved to be far more successful than I ever imagined. We did well from the Middle East – it opened up new markets in Lebanon, Dubai, Egypt. Exports are 15 per cent and growing. “There is a great expression in the Middle East that they want to experience friendship before business and we are now well established over there. He said the firm, which employs around 180 employees across sites in Lichfield, Newtown in Birmingham and Sheffield, supplied 57 markets worldwide. “I was gobsmacked by the £200,000 Middle East figure. It is all about British-made cutlery and silverware, really. They are looking for craftsmanship, tradition and heritage. “We do get nice prestige orders. We have supplied four generations of the Royal Family, including the current one. We supply some of the London hotels, including the Savoy. We supply the world’s only seven-star hotel in Dubai, we do the House of Lords and the House of Commons. “I was really pleased with our results last year, we had turnover of around £9 million. We have got 70 per cent of the market we are aiming at – it is pointless to do low margin, high-volume sales because you do not win. “We have been very much known for luxury cutlery, although that has changed to include more accessible lines. We are concentrating on getting the Arthur Price gift range moving.